These gorgeous playing cards feature the stunning designs of Ruth Maystead, handle beautifully, are high quality and made in the USA. The box is in full color, they are poker sized (regular sized), and are shrink wrapped. 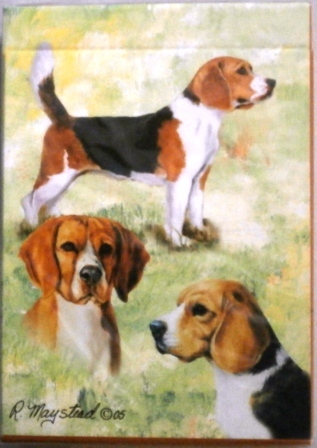 This will make a great gift for any card playing beagle lover!